Santa Rosa (RS), September 27, 2018 - AGCO, a global leader in the design, manufacture and distribution of agricultural machinery and solutions, has allocated a contribution of R$ 60 million for the modernization and application of new technologies at the company's plant in Santa Rosa (RS), which is responsible for the production of harvesters, combines and headers of Massey Ferguson, Valtra and Challenger brands. The investment plan began in 2016 and integrates the company's strategy of preparing the plant for the launch of products with high on-board technology, as well as increasing the level of reliability by delivering to the farmer machines with the highest quality standards. 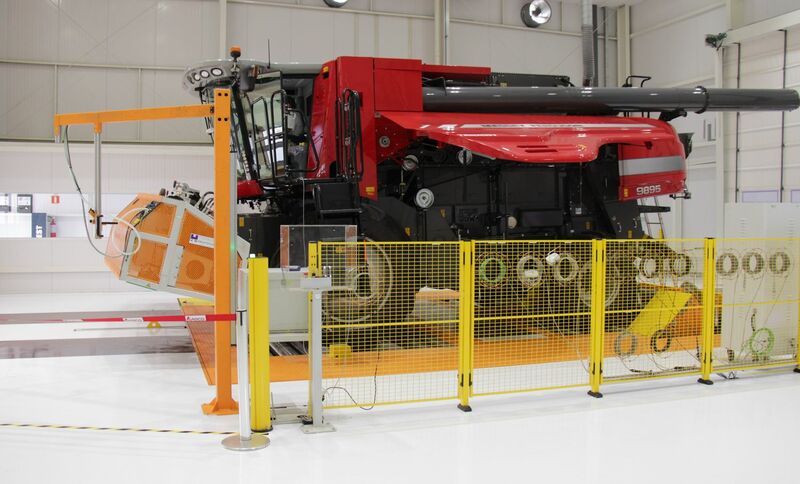 Among the improvements made in the plant is Dyno, a new system that simulates the quality level of combines in operation in the field, before they are delivered to the farmer. The modernization of the whole assembly line is another novelty and can be seen, for example, through the automation systems of welding, a new area of painting with industrial equipment based on nanotechnology, as well as technological procedures for quality measurement. 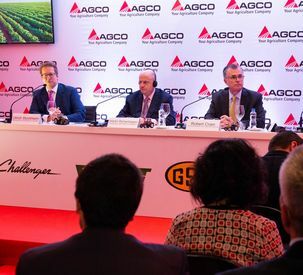 "AGCO's strategy is to make the plant a center of excellence, with an increasingly intelligent and robust operation that is suitable to receive the production of machines with high technology incorporated. Increasing the productivity level of the plant is another goal to be achieved with these investments. Our expectation for the next two years is to increase factory production by 100%,” says Denis Dutra de Oliveira, Director of Operations at AGCO. 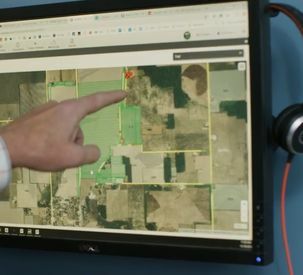 To implement the industry 4.0, AGCO quadrupled the training time to employees. Called "Learn Factory," the initiative aims to increase the knowledge of professionals in the technological and electronic field through workshops and the help of a platform with a virtual simulator, so that employees are more familiar with digital interfaces. The Santa Rosa plant is responsible for manufacturing all Massey Ferguson and Valtra harvesters, combines and headers. This year, the two brands launched the 45-foot draper header. At Massey Ferguson, the new 9255 Dynaflex is ideal for the axial model MF 9895, class 8. For Valtra, the 645FD header was designed exclusively to equip the BC8800 combine. From September 25th to 28th, the Santa Rosa factory will receive the Massey Ferguson 360° special action with the objective of providing a differentiated sensory experience to customers and presenting the innovations implemented in the area in the last years. 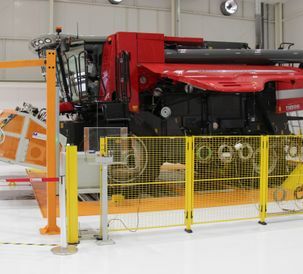 At the event, which had the first edition at the plant in Canoas (RS), the public of about 300 people will have the opportunity to see closely the six models of combines and all headers of the brand, including the launch of the year, 45 ft 9255 Dynaflex. A test drive of a hybrid combine will be another attraction in which the farmer can check and test the advantages of the machine. 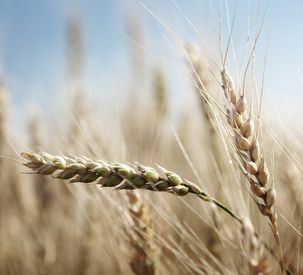 Participants will still be able to experience two combine simulations: Dyno technology, a new combine quality test system, and a second 4D format crop simulator experience in which the visitor will enter a booth, wear augmented reality glasses and have the sensation of operating a machine during a harvest. AGCO (NYSE: AGCO) is a world leader in the design, manufacture and distribution of agricultural solutions and supports productive agriculture through a full line of equipment and related services. AGCO products are sold through five major brands: Challenger®, Fendt®, GSI®, Massey Ferguson®, and Valtra®, count with the support of Precision Technology Fuse® and agricultural optimization services. Founded in 1990, AGCO is headquartered in Duluth, GA (EUA). In 2017, AGCO had net sales revenue of US$ 8.3 billion. For more information, visit http://www.AGCOcorp.com. For company news, information and news about events, follow us on Twitter: @AGCOCorp. For financial information on Twitter, follow hashtag #AGCOIR.